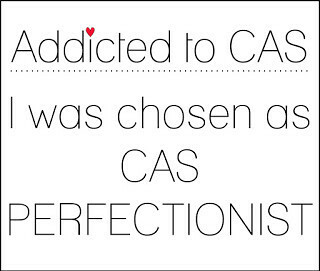 PE: Winner at Addicted to CAS!! Yay!! Runner up at A2ZScrapbooking challenge! I used Hero Arts Color Layering Hibiscus, Hero Arts Leafy Vines for the flowers and background and Technique Tuesday Hello Sunshine for the sentiment. This entry was posted in Card Challenges, Cards With: One-layer and tagged #A2ZScrapbookingChallenge, #AddictedToCAS, #Cards, #HandmadeCards, #LessIsMoreChallenge, #SimonSaysStampChallenges, #SSSWorkItWednesdayChallenge. Bookmark the permalink. This is really pretty!! Thanks for linking up to our April challenge at a2z!! They are definitely pastels! 🙂 Thank you so much for your kind comments Esther! I am not sure why the colors are looking bright – they look pastel in my computer screen! 😦 But I assure you they are pastel! Thank you for kind words. Thank you so much Sharon! I agree. I couldn’t get the right colors even with nice bright lights! This is so pretty! Love the design and lovely colors! Thanks for sharing it with a2z! The flowers are wonderful. Lovely card. So glad you joined us at A2Z. Your card is so pretty, this would brighten anyone’s day if they received this card. Thanks for joining a2z. Congrats on your well-deserved win, Ashwini! Your card is absolutely beautiful! I love the spring color palette and your design is CAS perfection! Thanks so much for playing along with us at ATCAS! Thank you so much for your kind comments Barb! Beautiful card; I love the flowers stamped in the bright cheery colors; love the leaves too! What a beautiful card; I love the balance between bright flowers and leaves which surround the sentiment. Your card sure brightened my day! Thanks for joining us at a2z.